When you are designing a new conservatory, you should carefully consider how you’re going to use conservatory floor insulation. 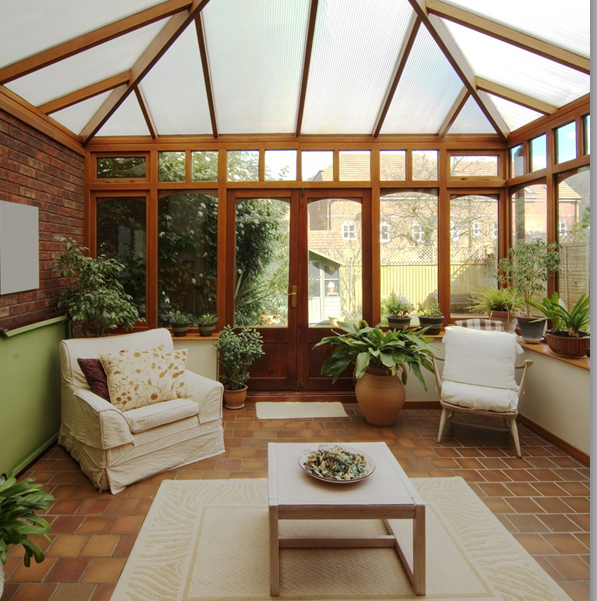 A conservatory does not have to meet the same building standards as those required for a house. In law it is considered to be no different than a garden shed or green house that just happens to have a door leading to it from the house. This is why the door between the conservatory and the house has to be of exterior quality. In the winter it can be a very cold space and, unless you take care when you build it, you can burn huge amounts of money trying to keep warm. Up to fifteen percent of the heat in your conservatory will be lost through an uninsulated floor. Consider that your house walls are probably 300mm thick with cavity insulation and your loft is insulated with 150 to 250 of glass fibre. Compared to that, your conservatory is more akin to a tent. If you have big doors leading from the house to the conservatory which you like to leave open, you’ll simply make the house cold and increase your heating bills. Fortunately, there are ways to insulate a conservatory and ensure that you and your family will be warm and comfortable all year round. Whilst the subject of this blog is floor insulation, it is also very important to make sure that cavity walls are insulated, that double glazed windows are made to as high a specification as possible and that you apply the same high standards to the roof. Obviously, doing the best job is a pretty easy task if you are starting from scratch. But if you are in the uncomfortable position of having spent a cold winter in your conservatory and you are wondering what you can do to improve things, your choices are somewhat limited (unless you have a suspended timber floor). If your flooring is carpet or tiles, it will have to be lifted. Just how much insulation you’ll be able to lay will depend on the clearance your doors have above the floor. But most floors should be able to take 25mm of polystyrene sheeting and a 25 mm celutex or similar screed. The tiles can then be re-laid. With carpet, make sure you use a good quality underlay. If you have a suspended timber floor over a concrete base, you’ll be able to make a reasonable job. The floor boards will have to be lifted and insulation placed between the joists. Use the densest material you can find, such as solid polystyrene. Then add a thin sheet of polystyrene over the whole of the floor before re-laying the floorboards. This will serve as a draught proofing layer. If you are starting from scratch, we recommend at least 100 mm of a material such as Kingspan Ecotherm under a screed or smooth concrete finish. If you’re laying carpet, it still pays to use a good quality underlay and if you’ve chosen to have a suspended wood floor, you should still insulate between the joists and install a draught proof sheet below putting down the floor boards. Underfloor heating is a great idea when it comes to conservatory floor insulation. It is a perfect space saving solution that leaves no unsightly radiators standing in awkward locations around your new conservatory. Underfloor heating is at its most effective when you opt for stone or tiled flooring. Can also be used with most types of carpet, but make sure you don’t have thermal insulated underlay else you won’t benefit from the underfloor heating. 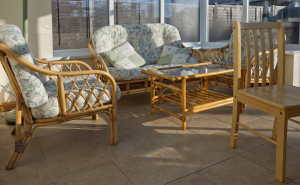 There are two types of underfloor heating available for your conservatory floor insulation. Wet underfloor heating uses hot water circulated through plastic pipes under your floor. Electric underfloor heating is a cheaper option and the more popular. It uses a mat system laid under the floor for maximum heating. These few simple tips should help you keep comfortable, what ever the weather. Get an instant online conservatory price with our easy to use conservatory quote builder!